-Birthplace of 8 US presidents- more than any other state: George Washington, Thomas Jefferson, James Madison, James Monroe, William Henry Harrison, John Tyler, Zachary Taylor, Woodrow Wilson. -2 major wars fought on US soil ended in Virginia. The Revolutionary War ended in Yorktown when Cornwallis surrendered to George Washington. The Civil War ended when General Lee surrendered to General Grant in Appamatox. -The Appalachian Mountain range cuts through the western part of the state. This is a mountain range that goes from Maine to Georgia. It has the Appalachian Trail (AT) that is 2,184 miles long. Virginia has 550 miles of the trail- the longest section of any other state on the trail. The section of the Appalachian Range in Virginia is call the Blue Ridge. -Richmond was the capital of the Confederacy during the Civil War. 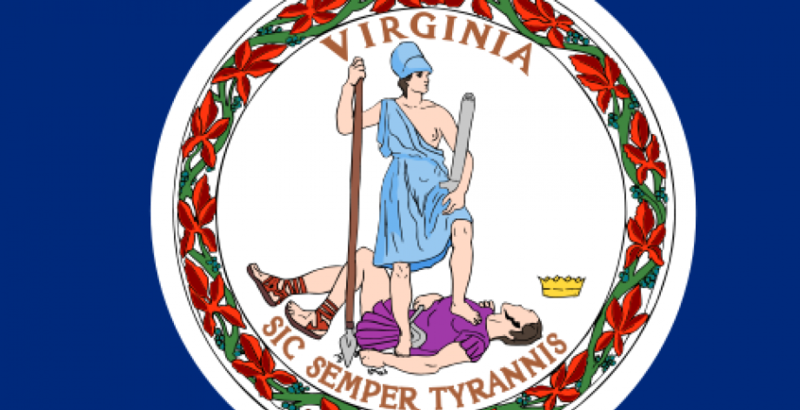 -Virginia was the first colony to break ties with England in May of 1776. -The Virginia General Assembly is the oldest legislative body in the nation. -The largest naval base in the world is in Norfolk. -State motto is “Sic Semper Tyranis” means “thus always to tyrants”. -Virginia is one of 4 commonwealths in the nation. It is not a “state”. This designation goes back to colonial times when Virginia broke ties with England. -The CIA and FBI have headquarters in Virginia. CIA- Langley in McLean. FBI- Quantico. -William and Mary college in Williamsburg is the second oldest in the nation. The oldest being Harvard. -Kentucky and West Virginia came from the land that was originally part of the colony of Virginia. Virginia’s land once covered all the way up to Michigan. -Patrick Henry gave his famous “Give me liberty or give me death” speech at St. John’s church in the now Churchill area of Richmond.